For residents of Orlando and the surrounding that want access to affordable Human growth hormone (HGH) and bio-identical hormone therapy, the Anti-Aging and Wellness Clinic is a smart choice. At the Anti-Aging and Wellness Clinic we provide high quality, customized, anti-aging therapy based on your individual needs and goals. If you are living in Orlando, Jacksonville, Miami, Tampa, or St. Petersburg, Florida you can find local clinics such as Cenegenics, that provide anti-aging therapy, however, the average Cenegenics patient will spend thousands of dollars more for similar or lower quality of care than what you will receive at the Anti-Aging and Wellness Clinic in Costa Rica. Compare the cost of care at the Anti-Aging and Wellness Clinic to clinics in the United States and you will find we provide higher quality care, that can include human growth hormone therapy, for less than 1/3 of the price. HGH must be administered by a simple and painless subcutaneous injection. The only HGH products with proven benefits are pharmaceutical grade HGH. According to the FDA, injectable HGH must be prescribed by a physician for approved medical conditions and all other uses are considered illegal. In the United States there are strict guidelines defining growth hormone deficiency. If you do not meet the strict guidelines, it is illegal for a U.S. healthcare practitioner to prescribed one of the many FDA approved growth hormone products. Products called secretagogues are frequently prescribed by physicians in the U.S. and these products claim to increase HGH secretion from the pituitary gland, but they do not significantly increase levels of HGH and have not been proven to work in any clinical trials. Most patients need increases of HGH by 100-200% in order to notice significant changes in body composition and health. The only way to achieve these increases in HGH is by using pharmaceutical grade HGH. 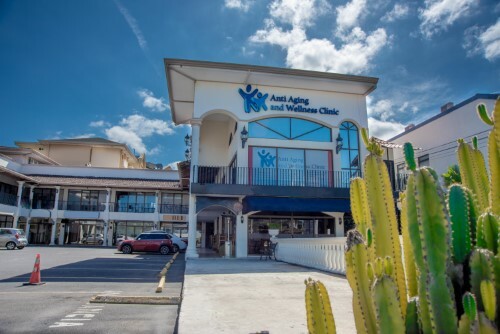 The Anti-Aging and Wellness Clinic is the most experienced anti-aging clinic in Central America, with clinics in San Jose, Costa Rica, Panama City, Panama and Tijuana, Mexico. At the Fort Lauderdale Airport and Miami Airport, JetBlue, Copa and American Airlines offer direct flights to and from Panama City, Panama and San Jose, Costa Rica, making it easy for you to see a doctor at the Anti-Aging and Wellness Clinic and return the same day, or stay and enjoy a long weekend in one of the most beautiful countries in the world. Three of the main reasons medical tourism is growing in Central America; Costa Rica has become one of the most popular destinations for people from the United States and Europe who are seeking medical care.